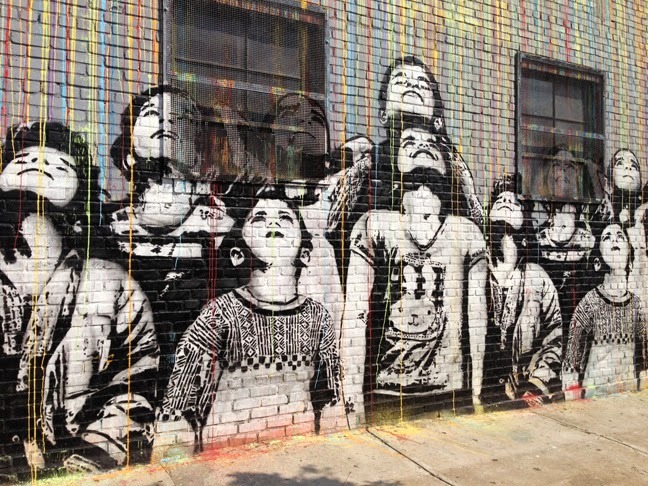 Walking around Williamsburg, Brooklyn is like visiting an outdoor art gallery. 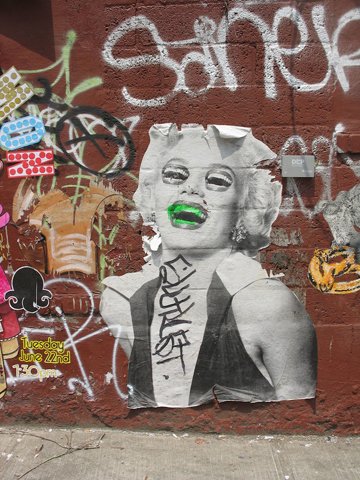 The innovative street artists leaving their mark here are on a par with those tagging in London, Berlin and Paris. The work is often politically-charged and playful, with a nod given to the street art of Bansky. Most of these works have been put up as part of a guerrilla art project under the name of the Street Museum of Art (SmoA). Street art has by nature a short wall life. The brick wall is a temporary canvas, meant to reflect a fleeting response to the setting and the times. 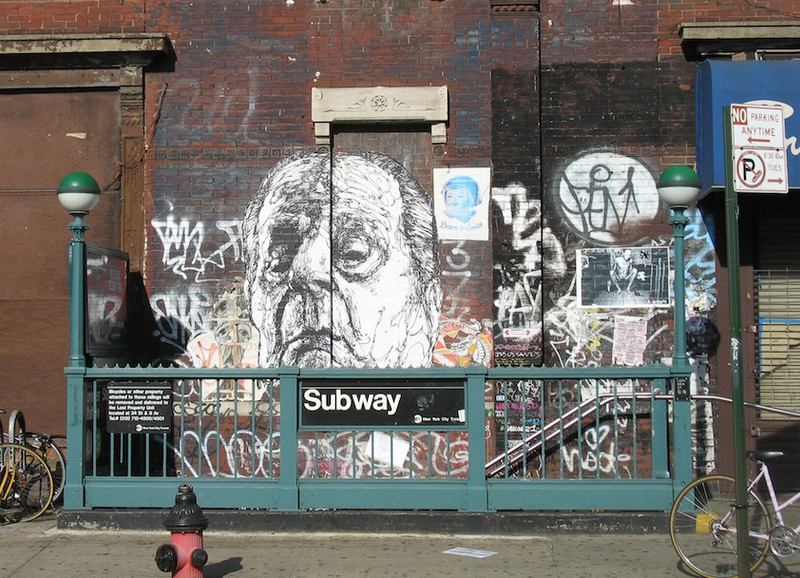 It is an integral aspect of graffiti culture for artists and taggers to be territorial, competitive, and to deface or replace each other’s work. And of course, uncomissioned street art is always under th reat of being white-walled by the property owner or the city. 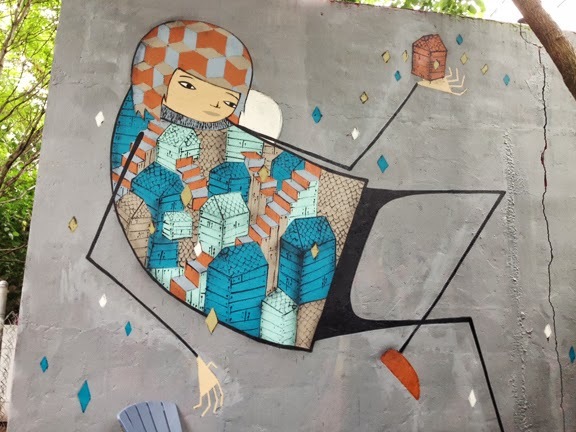 The images below are a sampling of the striking street art that has popped up over the past few years around Williamsburg, specifically in the areas surrounding the Bedford Avenue L stop and the waterfront. Some of these are no longer up. 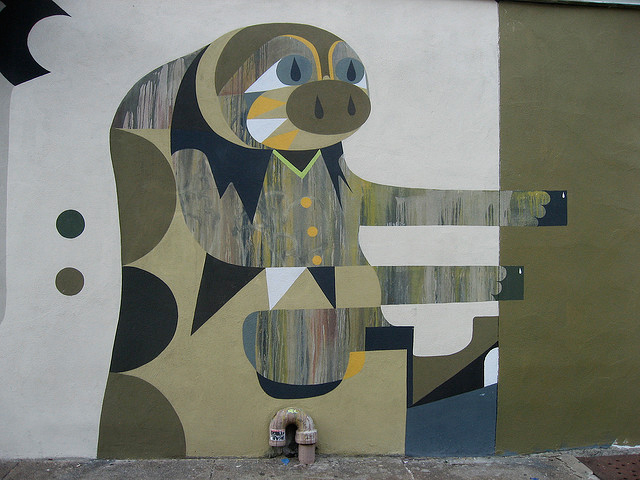 The location and artist have been indicated, where possible. Artist: Robots Will Kill, aka Nick Kuszyk (robots.com). Location: Corner of Bedford Ave. and North 3rd St . Artist: Lister. Location: Corner of Metropolitan Ave. and Roebling St. Artist: Creepy. Location: Backyard of The City Reliquary Museum on Metropolian Ave.
Artists: B.D. 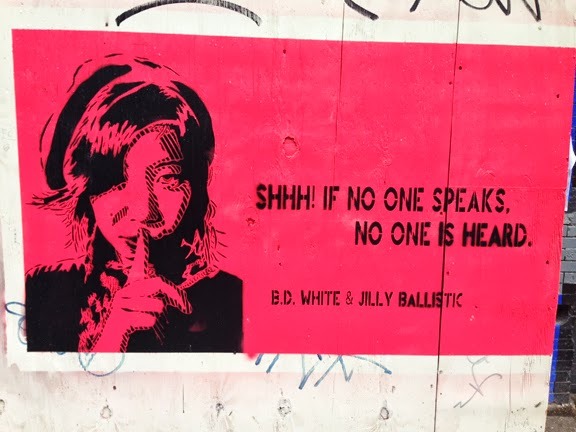 White and Jilly Ballistic. 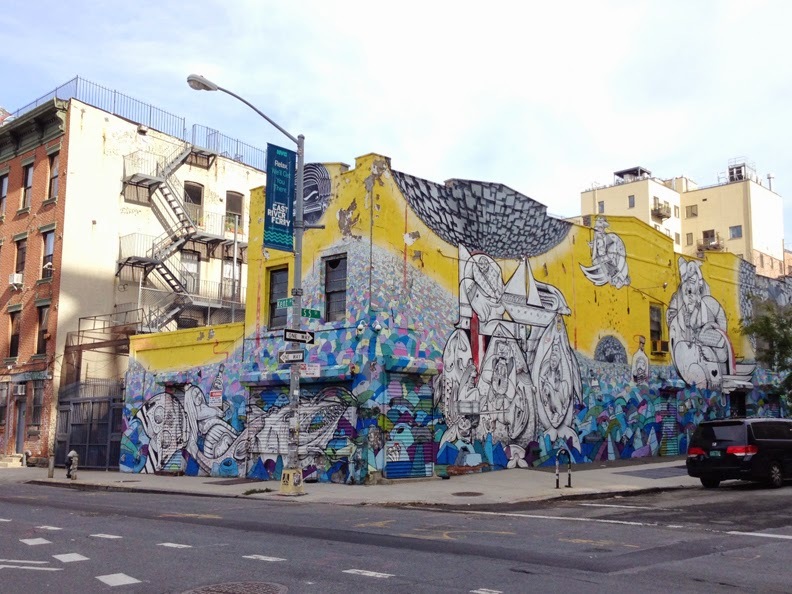 Location: North 6th St. between Berry and Wythe Ave. 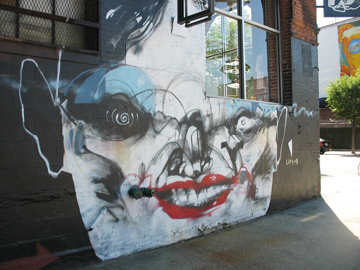 Artist: D*Face. Location: Bedford Ave. and Broadway. Artist: unknown. Location: Kent Ave. and South 5th St. Artist: Gaia. Location: Bedford Ave. at N. 7th St. 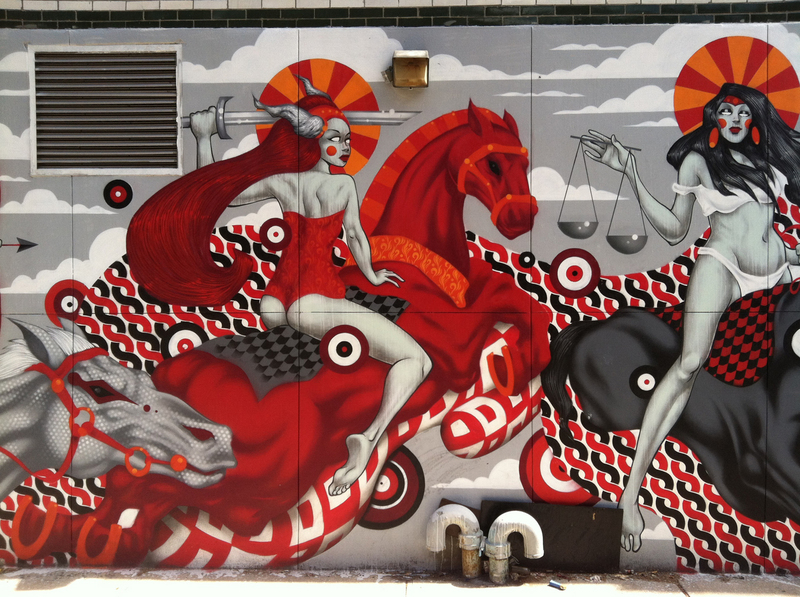 Artist: Tristan Eaton. 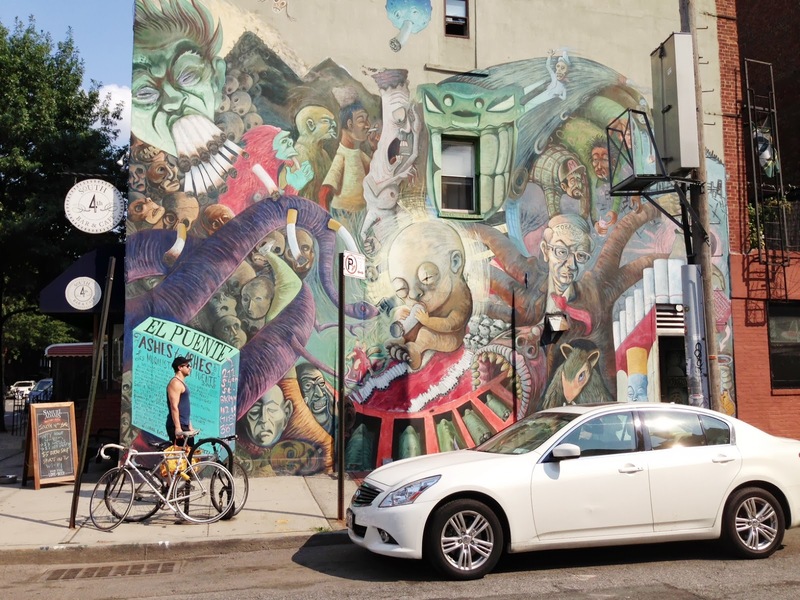 Location: Filmore Place between Roebling St. and Driggs Ave. Artist: Nick Walker. Location: Roebling St. near Metropolitan Ave. 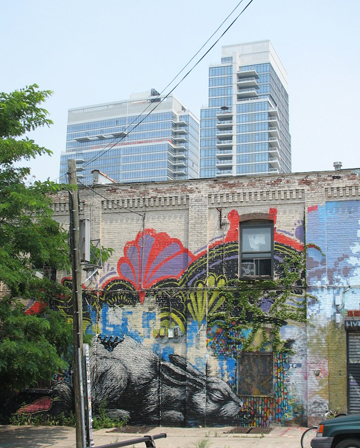 Artist: Icy & Sot. 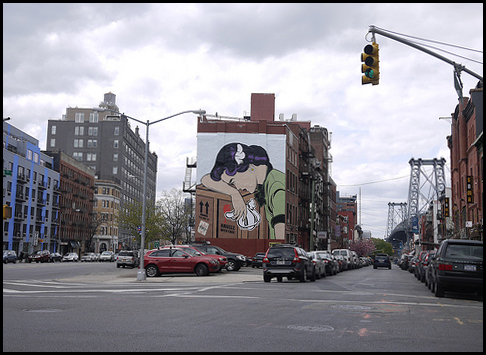 Location: corner of Wythe Ave. and S. 6th St. 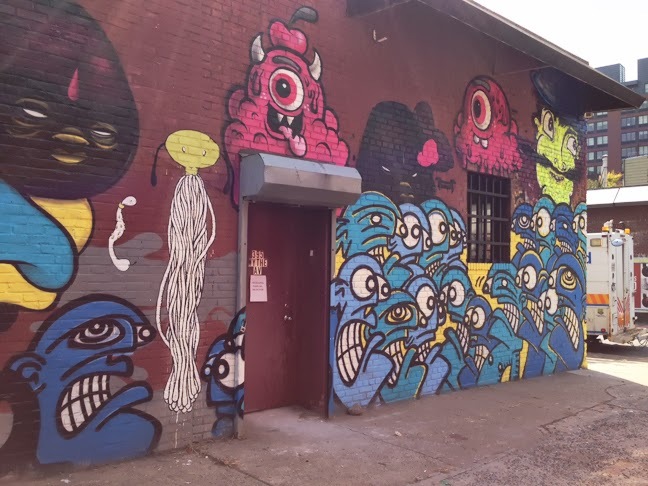 Location: corner of Berry St. and South 4th St.
Artists: Buff Monster, Galo, The London Police, Microbo. 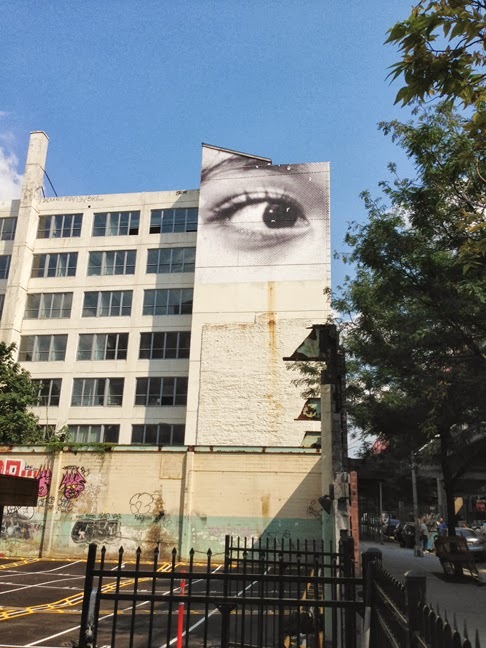 Location: corner of Wythe Ave. and South 6th St. Artist: JR. 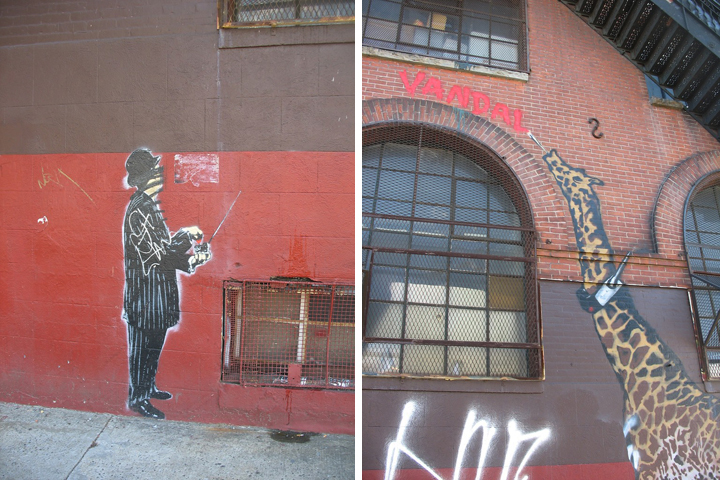 Location: South 5th St, between Wythe Ave. and Berry St. Artist: ROA. Location: The Monster Island Building on 210 Kent Ave., former home of the Live with Animals Gallery. (no longer there). 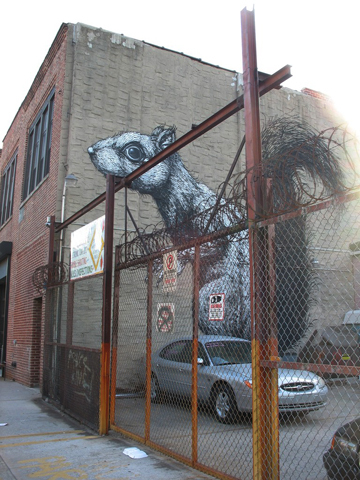 Artist: ROA. Location: North 5th St. and Berry St. Photos by Vanessa Ray, all rights reserved.